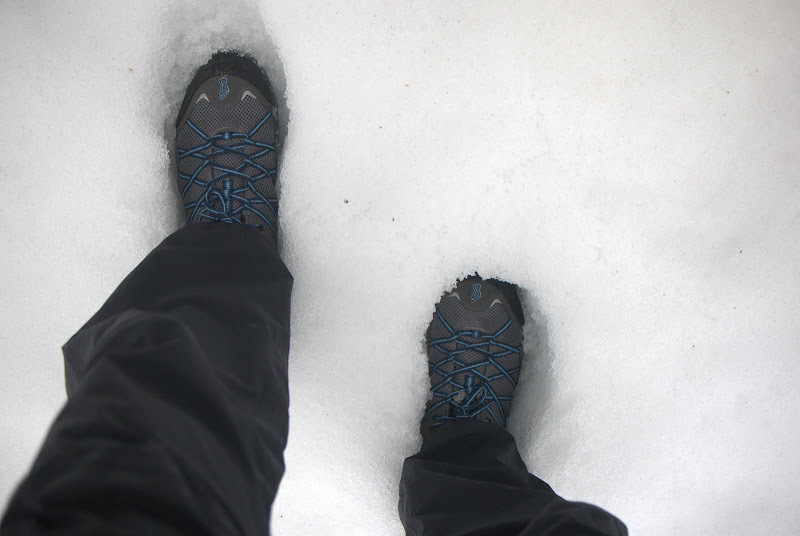 It is getting warmer here in Finland, yesterday we had 7°C and it was raining - reason enough for me to take out the Inov-8 Roclite 295 from the cupboard and go for a run around Pyynikki, the green area behind my house. It was a great feeling to get rain on your face, it is a sign of spring and I am looking forward to the time when the snow is gone. 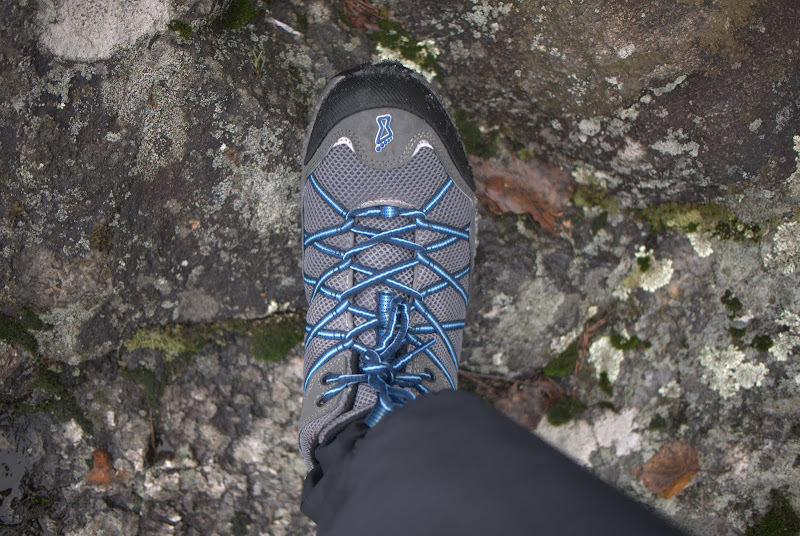 Inov-8 Roclite 295 are great trail running and backpacking shoes - comfortable, light, breathable, and very grippy. 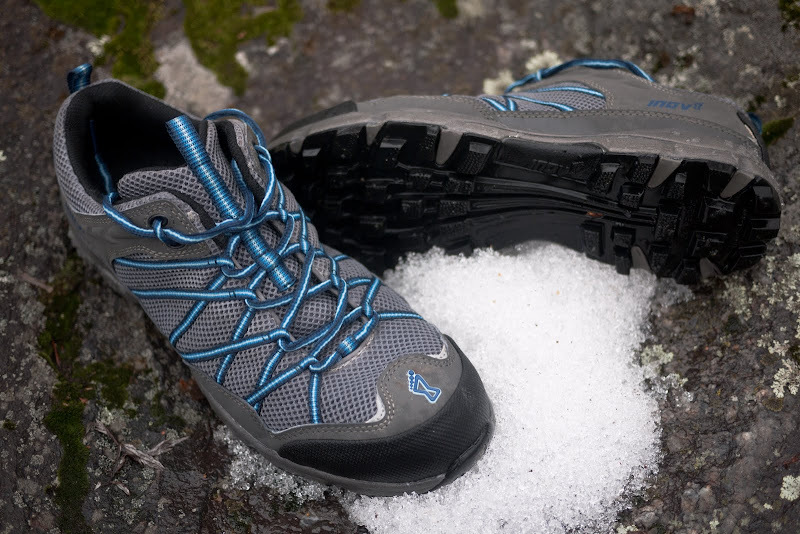 I got the Roclite 295 as my spring till autumn backpacking shoes, and the pair is 602 g. If you have been lightning up during the winter months and got your base weight down to 10 kg or less, you might be ready to make the next step, and use lighter footwear like trailrunners for backpacking. The Roclite 295 is very comfortable, and the unique Inov-8 support system will hold your foot down and give you that great grip which you need on the trail. Lighter shoes mean less stress for your feet, walk in more comfort, and strengthen your feet and leg muscles. Considering that usually trekking boots are usually upwards of 800 g a boot, that is half a kilo less per foot when you use trail runners. ... and on wet rock - no slipping. I've been wearing my pair for my training runs and on a trip last autumn, and you'll see them on my feet during the coming warmer months. They have no Goretex lining, I prefer breathability and quick drying shoes, and if it is wet - like yesterday and today - I wear my TrekMates Amphibian Socks and Voilá: Dry feet for 72 g. Multiuse and better than lined shoes, it is the way to go. Front view of the Roclite 295. 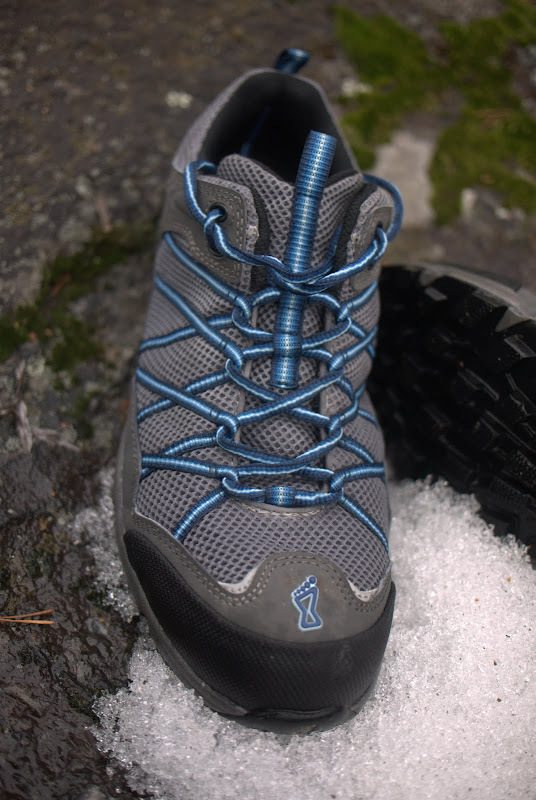 Check the Inov-8 website for a Retailer near you!